Alpinestars Supertech-R Boots Black. Made of high-tech microfiber, the Supertech-R have been designed for the demanding competition world. Each element has been carefully designed to afford innovations in protection, improved ergonomics and maximum comfort. The new Supertech-R have the sole and external shin guard in redesigned TPU and an innovative front flex area. Technical features: Made of high-tech microfiber that affords superb levels of flexibility. The main microfiber layer provides high levels of waterproofing, durability and weight saving. The front flex area has been redesigned and constructed in TPU over-injected on breathable mesh to obtain flexibility and abrasion resistance. Ergonomically designed external TPU shin guard for an ergonomic and secure fit, affording maximum abrasion and impact resistance. The shin guard has a new upper closure with a micro-adjustable ratchet for a secure, precise fit. The microfiber panel on the inner side of the boot provides a soft, flat surface for excellent grip and feel, as well as protecting from the heat of the bike. Top gaiter in synthetic leather and reinforced with PU following the shape of the leg. Achilles heel area in stretch microfiber accordion for greater freedom of movements. The side zip mounted on a stretch base allows for an efficient fit. With adjustable Velcro strap for a more comfortable, secure fit. Boot entry in TPU stretch panel for greater ease of entrance and removal and a tight fit. The shifter protection provides optimum feel and grip. Redesigned sole, made of an ultra-light rubber composite, provides excellent grip and feel. 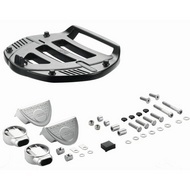 It has been redesigned so that the rider can change position and pressure on the footrest. Replaceable TPU plate on the back of the heel that protects against impacts and reduces friction in the event of an accident. Built in, replaceable, bi-injected TPU slider. With a new screw fitting system that facilitates and simplifies the change. Also incorporating an inner biomechanical bootie to form a protective structure allowing total freedom of movement. Homologation EN 13634/2010.